Fiber optic communication technology is currently the best lined way for internet connection. It is significantly more reliable than copper connection and can support speeds of up to 100 Gbps. It delivers signal strength that does not quickly degrade over distance as compared to traditional wired connections. It also excels when it comes to latency, which means better voice quality for VoIP communications, more efficient uploads and downloads, and better video streaming and online gaming. 5G technology may be getting more hype and attention these days but fiber internet is still one of the most important internet technologies being anticipated by internet users. But those who want fiber internet don’t have to be disappointed. Back in October last year, Google halted the rollout of Google Fiber. Its CEO, Craig Barratt, stepped down in what can be considered a major drawback (or crumbling?) of what was once deemed a promising project to provide the entire United States with high speed Internet connections that can rival those in Asian broadband leaders such as South Korea and Singapore. Personnel related to the project have been laid off and Fiber contractors have also reportedly cut their manpower down because of the halted expansion in new cities. There are rumors that Google is about to dump the Fiber project. The project is believed to have lost steam because of a number of factors. These include the lack of marketing, unviable pricing, lack of partners, increased competition, and inconsistent service. Despite being one of the biggest companies in the world, Google is not a company that invests in infrastructure so it needs to partner with cities and sign up contractors to get things done. Unfortunately, this need for partnerships results in inefficient operations and disruptions in the planned expansions. Google has engaged in targeted wireless broadband initiatives but it’s uncertain if the current market can already adopt the technology. Moreover, it does not help that there are businesses and people in politics who oppose the deployment of Google Fiber, which will surely disrupt the competition with its significantly lower pricing. All of these may sound negative but it’s not really that much of a drawback. The future of Google’s Fiber internet appears dismal but this does not mean the end of fiber internet technology and business endeavors. In fact, there is already at least one telecom operator, CenturyLink, interested in buying Fiber in case Google decides to sell it. Google fiber internet venture is not reflective of the global fiber internet growth situation. In the US, Google Fiber may no longer expand further in the foreseeable future but its introduction has sparked competitiveness among ISPs, that they have become aggressive in building their fiber and gigabit internet capabilities. Customers may not get cheap 1Gbps connections but the growth in fiber networks should lead to reasonably priced plans with great enough speeds of 100Mbps or higher. If countries like the Philippines, which is notorious for miserably lagging internet speeds, are adopting fiber, it should provide a hopeful outlook for those who are still waiting for fiber internet connection in their areas. In the Philippines, fiber internet plans can be availed at around $200, with speeds of up to 1Gbps and a data limit of 6 TB. It does not compare to Singapore’s around $85 1Gbps and $212 10Gbps plans but should be a good indicator of the growing trend in different parts of the world. ISPs apparently recognize the need for faster internet speeds. At the same time, the growing competition is driving prices lower. Ultra fast internet connections is no longer just something being exclusively offered to enterprises or big time customers. It’s worth pointing out, though, that fiber internet plans are not limited to gigabit plans (those with speeds 1Gbps or higher). Many ISPs also market broadband plans with speeds 50Mbps and higher as fiber plans. In New Zealand for example, BigPipe, a local Kiwi ISP has started serving unlimited fiber internet plans available for $129 with speeds of 700 to 900Mbps. Many may argue that fiber is unlikely to grow since it is not really that much of a necessity. However, developments in the fiber internet services market depict otherwise. AT&T’s fiber market, for example, grew to 46 in 2016, as two new metros were added. Verizon in 2016 has launched an FTTP (fiber-to-the-premises) network, aimed at serving both business and residential customers with 10Gbps broadband plans. Zacks Equity Research also sees an expansion of the fiber optic network, as fiber optic technology is considered as the most sought-after technology for enabling the secure and ultra fast transmission of data across long distances. Based on Zacks’ assessment, the wireline industry will considerably be centered on the fiber-based gigabit data transmission network. Fiber optic connections are already blazingly fast but they can become even faster with the development of a new amplifier reported to be able to increase the capacity of fiber optic cables by around two times. A team of researchers at Livermore has observed signs of amplification at 1,400 to 1,450 nm after working with a custom optical fiber that suppressed lasing at 1,064 nm. Amplification at the 1,400-1,450 nm range is something that was not achieved before. The researchers discovered that at 1,390 to 1,460 nm, it is possible to have significant positive optical gain, opening the possibility for operating in a transmission known as the E-band. Fiber optic lines at present operate at the C and L bands. With the addition of the E-band, this means that the information carrying capacity of a single optical fiber can be effectively doubled. Once this technology is commercialized, ISPs can increase bandwidth without having to lay out additional fiber optic cables. This is certainly a significant advantage for internet service providers and customers. More research and development are needed, though, before this new fiber optic amplifier can be put to commercial use. 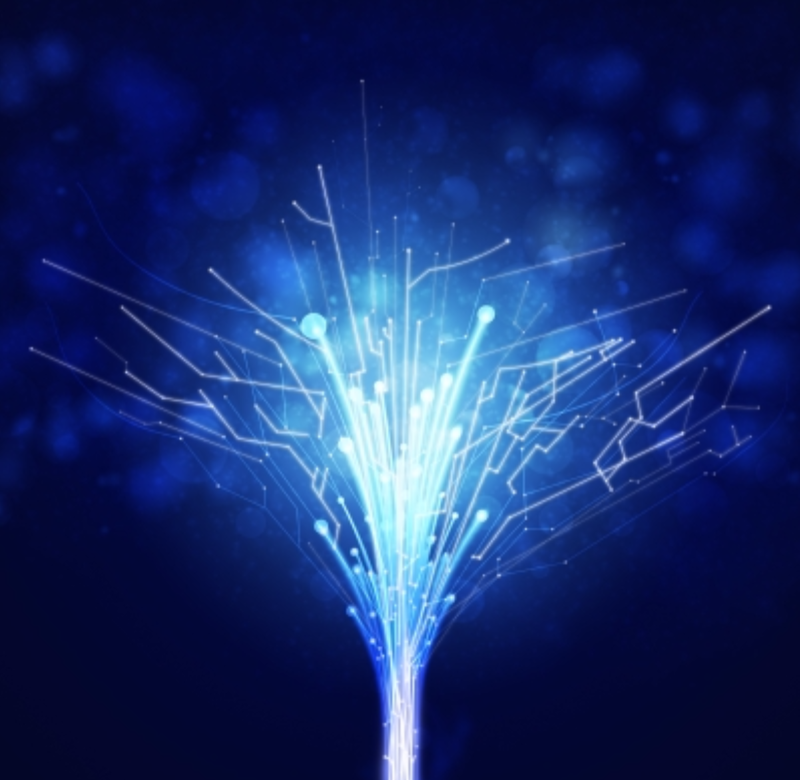 Fiber internet is here to stay and grow further. The outlook may not be as rosy as when Google Fiber was first introduced but the growth will continue and the technologies and business competition necessary to make fiber internet plans competitive are bound to emerge naturally.